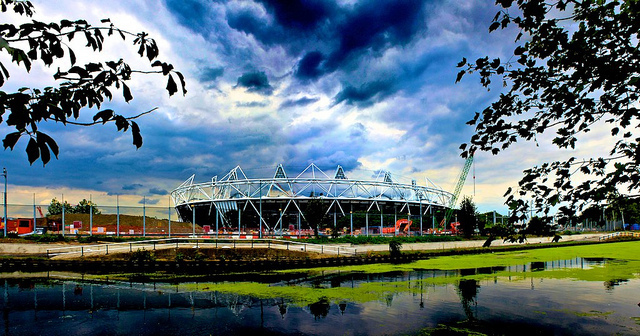 Preparations for London 2012 are gearing up with test sports events and security agencies being put through their paces. There's already been some testing for the marathon and race walking (on 30th May. Anyone spot that? We know it was a bank holiday, but still...) and the equestrian invitational started in Greenwich Park yesterday with a small protest from people who think it's all a terrible idea - we'd make a joke about horses and stable doors but there are some puns even we won't stoop to. You should be able to get a glimpse of the cross country racing today if you stand by the right bit of fence. The Modern Pentathlon World Cup Final happens this weekend in Greenwich and Crystal Palace, too. Other events coming up (not all planned by LOCOG, but useful practice) include road cycling starting from The Mall, the London Triathlon, badminton at Wembley Arena, basketball at the new venue in the Olympic Park, marathon swimming in Hyde Park and beach volleyball at Horse Guards Parade. The Home Office is also getting in on the action to see how police and emergency services would cope with a crisis during the Games. At least 10 exercises are planned to test how well all the various agencies work together - and the Met's radio system has had its capacity increased to handle the expected extra officers.